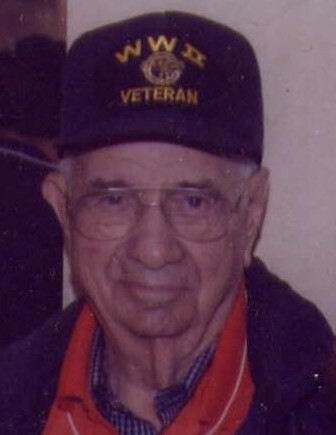 Robert A. Cessna, 96, Rochester, Indiana, passed away at 10:18 A.M. on Monday, April 1, 2019 at Hickory Creek of Rochester. He was born on June 26, 1922 in Kewanna, Indiana, the son of Otto F. and Louise E. (Armstrong) Cessna. 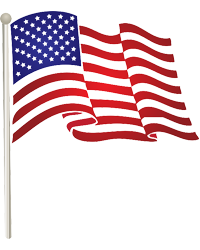 He served with the United States Army Air Corp during World War II having participated in offenses at Normandy, Northern France, Rhineland and Central Europe. On February 23, 1946, in Rochester, Indiana, he married Kathleen Fore. She preceded him in death on January 13, 2015. Mr. Cessna started his working career as a farmer and retired from the United States Postal Services after many years of service. He had been a dedicated member of the Rochester Lions Club, Odd Fellows Lodge, Veterans of Foreign Wars, Eagles Lodge and was attending St. Joseph Catholic Church. He was involved in the set construction for the Fulton County Players, and he enjoyed gardening, especially his roses and dahlias. Survivors include his daughters, Cathie and husband Richard Berg, Urbana, Illinois, Christine Ravenscroft, Wabash, Indiana, grandchildren, Ryan and wife Amber Berg, Portland, Oregon, Robyn and husband Brian LaLonde, Chicago, Illinois, Renee and husband Brandon Lee, Washington, Illinois, great grandchildren, Toby Lee, Raegen Lee, and Hunter Lee, sister, Ann and husband Wilson Sadowsky, Belvidere, Illinois. He was preceded in death by his wife, brother, William Cessna, and his parents. A funeral service will be held at 10:00 A.M. Friday, April 5, 2019, at Zimmerman Bros. Funeral Home, Rochester, Indiana with Reverend Michael McKinney officiating. Visitation will be from 5-7 P.M. on Thursday, April 4, 2019 at the funeral home, Rochester, Indiana and one hour prior to the service on Friday. Burial will be at the Odd Fellows Cemetery with Military Honors observed by the Fulton County Veterans Honor Guard and the U.S. Army Honor Guard.